Attend this workshop and learn about the change process, Change Management Steps, why it’s critical to accelerate deployment of initiatives, and several change management tools Get hands-on experience using the tools to be ready to deploy it at your business. Learn how to become a change leader, needed personality / characteristics, and how these tools complement Lean, Six Sigma, and Project Management tools and concepts. President and Founder, Strategic Operating Systems; Lean Six Sigma and Strategy Deployment Expert at Strategic Operating Systems (SOS). 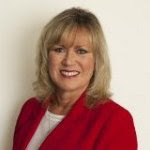 Kim Rochetti, President and Founder, Strategic Operating Systems, Master Black Belt, CSSBB, CQE, PMP, MBA, BSIE; ASQ Regional Director, Region 13; Board Member, St. Louis University Aviation Science Advisory Board. Known as an effective and credible leader able to build and motivate high performance teams that deliver optimal results. A Master Black Belt recognized by executive management for internal consulting skills and abilities to achieve bottom line results that were nearly double that of the previous year.